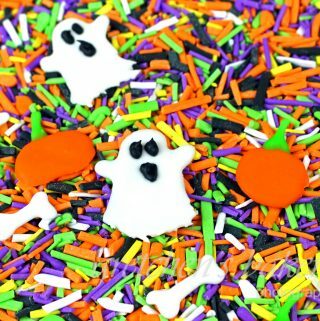 Yes Vegan Halloween Sprinkles! 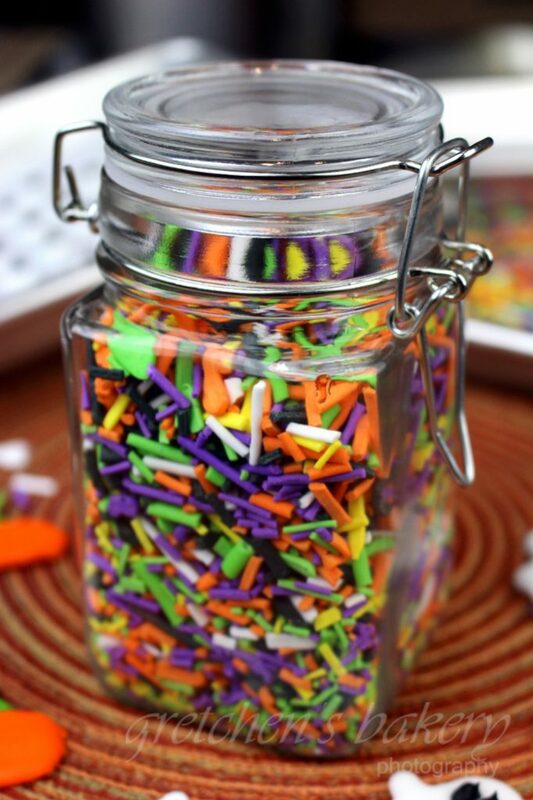 Now you can make all your own sprinkles for every holiday! What a great way to decorate your cakes and cookies, not to mention a great gift idea! Animal products creep into just about everything; so it seems we vegans spend most of our time reading labels. Confectioners glaze is the main culprit in most candy and confections. Also known as “confectioner’s polish” and “shellac,” is used by many candy manufacturers to improve the appearance of their finished products by giving them a “shiny sheen” that will not easily wear off. Shellac is a resin excreted by certain female Asian beetles after they have feasted on tree bark. The resin is then harvested, heated, and purified. India is the world’s leading producer of shellac, and the U.S, Europe, and Egypt are the top consumers of it. While some are taken aback by the fact of shellac’s origins, it really is not much different in nature than other insect products, such as honey and the honeycomb. But as vegans we are living life with as little animal (and insect!) exploitation as possible. So confectioners glaze is a NO. But whether you are vegan or not or if you care about eating beetle secretions or not, this homemade recipe for sprinkles is not only easy and cost efficient, but fun too! 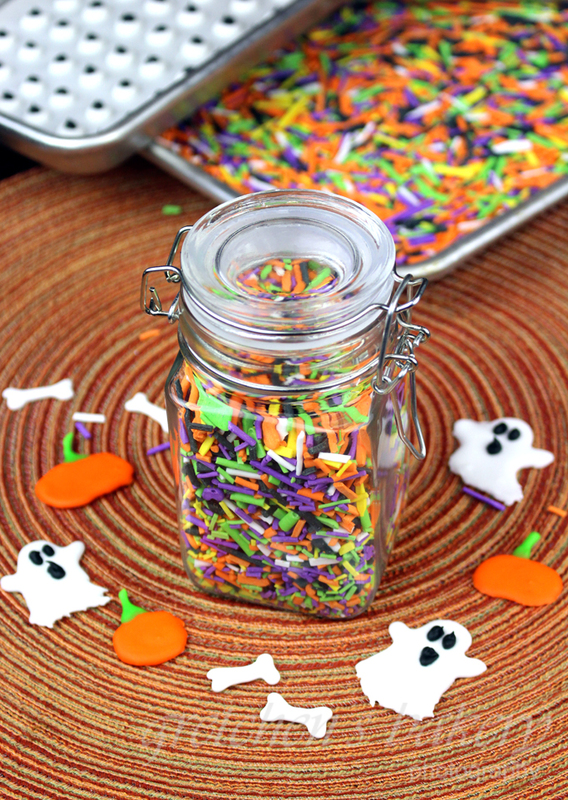 It costs just about $1 to make over 2 cups of vegan sprinkles! Be sure to scroll all the way to the bottom for the video on how to make your parchment paper cones! Mix to a paste and then add more water as needed. *see note in the blog text about using liquid food colors such as natural juices, you will not need nearly as much water since those juices are primarily water. Divide the icing into as many smaller bowls are you are making colors. Add the food color and mix well, then cover each small bowl with plastic wrap to prevent drying as you pipe each color. I use parchment paper cones to pipe each color, since you are working with such small portions at a time it just makes more sense, it is cleaner and easier to handle those small bags rather than large pastry bags, not to mention the canvas or plastic pastry bags we use for other projects may have residual grease in them which can break down the sprinkle icing. Pipe the colors out in long strings onto parchment paper lined sheet pans. *It's ok if the strings break as you pipe, they are going to get broken up later anyway. You will see in the video I also made some dots with the icing for another size and variation from the strings. Hi I am always impressed at the quality of time you give in explaining everything and wanted to say a big thank you?